As we head toward the latter part of July, sugarcane aphids have been detected in numerous counties in the Texas and Oklahoma Panhandle regions and are rapidly working their way north. Crop Quest Agronomists in the Dumas, Texas areas have reported seeing this pest show up as well. 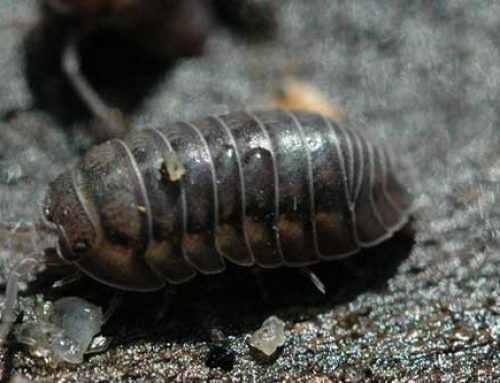 Why are we seeing signs of this invasive pest? The fact is, grain sorghum and forage sorghum acres are higher this season. This encourages sugarcane aphid movement north through the Texas Panhandle, which is evident, as we are beginning to see aphids in the Oklahoma Panhandle and Southwest Kansas regions. The current sugarcane aphid tracker shows where in Texas, Oklahoma and southern Kansas aphids are: https://www.myfields.info/pests/sugarcane-aphid . 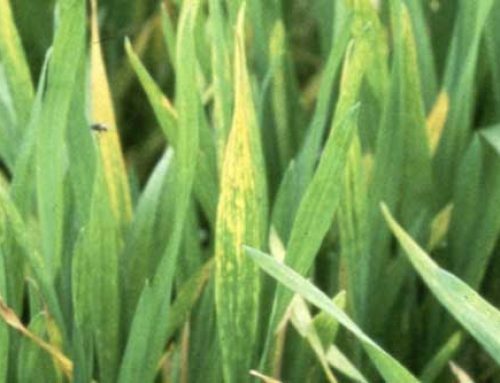 Sugarcane aphids can develop quickly and go from trace levels to nearly out of control in as little as two weeks or less. 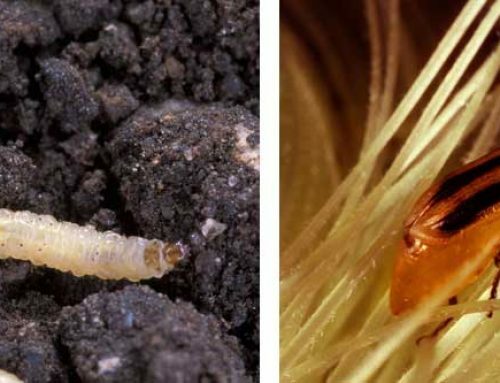 Consider having a crop consultant onboard to help check your forage or grain sorghum and monitor this pest. Cost of treating aphids can run as high as $20/acre. Having someone help decide whether treatment is justified, and if so, assist with timing of products for maximum results will be critical to final yield and harvestability. 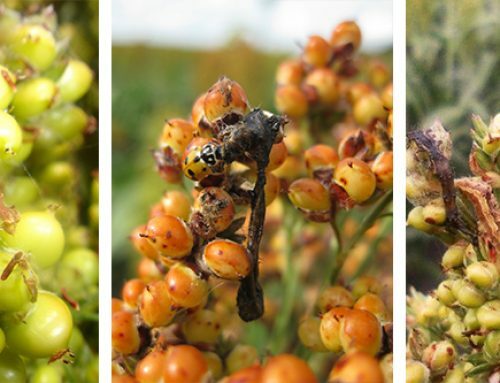 Sorghum varieties can vary greatly with tolerance to sugarcane aphids. This will also play a role in determining treatments, and many fields may be able to go without treatment if properly monitored. Don’t be lulled into thinking that the lower populations seen in 2017 will play out in 2018, as very few fields received treatment last year. Sugarcane aphids can and will cause lodging and harvest problems from massive amounts of honey dew for both grain and silage. 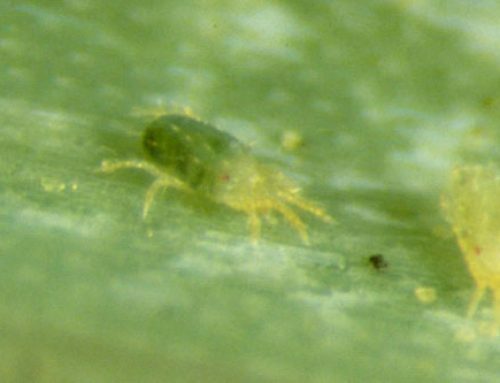 Your Crop Quest Agronomist can help determine if sugarcane aphid is a problem in your area, and help you manage this pest as it adapts to a more northern climate.